From the best-selling author of Cosmopolitanism comes this revealing exploration of how the collective identities that shape our polarized world are riddled with contradiction. We all know how identities -- notably, those of nationality, class, culture, race, and religion -- are at the root of global conflict, but the more elusive truth is that these identities are created by conflict in the first place. In provocative, entertaining chapters, Kwame Anthony Appiah interweaves keen-edged argument with engrossing historical tales -- from Anton Wilhelm Amo, the eighteenth-century African child who became an eminent European academic, to Italo Svevo, the literary genius who changed countries without leaving home -- and reveals the tangled contradictions within the stories that define us. 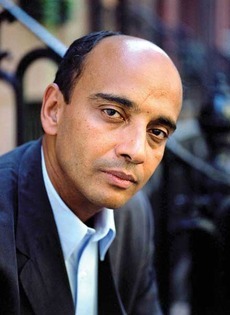 Kwame Anthony Appiah, the president of the PEN American Center, is the author of The Ethics of Identity, Thinking It Through: An Introduction to Contemporary Philosophy, The Honor Code and the prize-winning Cosmopolitanism. Raised in Ghana and educated in England, he has taught philosophy on three continents and is currently a professor at Princeton University. He maintains a website at www.appiah.net.